NEW: PandoraStar Sessions in Sarasota! PandoraStar Deep Trance Meditation Machine has made it to Wild Ginger Apothecary! Using a unique inverted triangle array of LED lights that interlock to create a series of hexagrams, PandoraStar stimulates various brain regions by focusing rays of light on the retinas. Through closed eyelids, users experience a “visible” frequency entrainment of kaleidoscopic patterns of colors and psychedelic imagery, which provides an immersive environment for deep level brainwave entrainment. 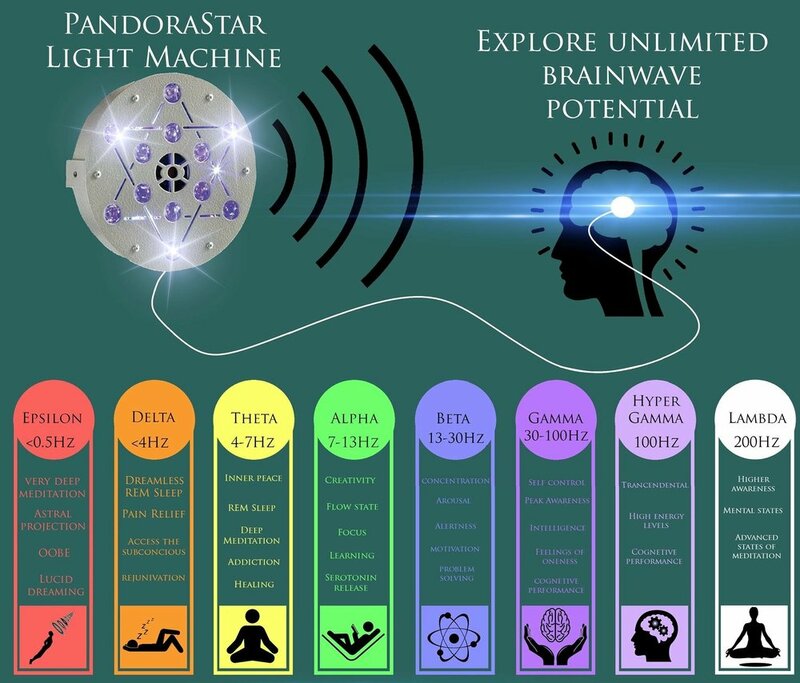 PandoraStar allows Pineal Gland activation and psychedelic visual experience for sustained states of consciousness, at a more affordable rate than the Lucia Light. By appointment and special event. Contact us for more information!